This entry is part of the 52 Ancestors in 52 Weeks series. This week’s prompt is Out of Place. To see other posts in this series, view my 52 Ancestors in 2019 index. When I think of my ancestors who lived before convenient modes of transportation, I often assume they lived in small geographic areas. With only wagons to navigate primitive dirt roads and boats or barges to cross rivers, who would stray too far from home? My 2x-great-grandfather Joshua Lawrence Horn breaks all my assumptions. Several events in his life occur “out of place” from the expected, providing evidence Joshua traveled between Mississippi and Texas several times. Some of his travels were voluntary; others were not. I’ve written about Joshua previously — a blog post commemorating his birthday back in 2016 — so I won’t recount all the details of his life again. Instead, I’d like to discuss the “out of place” records I’ve found for him, along with two new discoveries that confirm family oral tradition about this outlaw ancestor and some of the places he lived. This entry is part of the 52 Ancestors in 52 Weeks series. This week’s prompt is DNA. To see other posts in this series, view my 52 Ancestors in 2019 index. 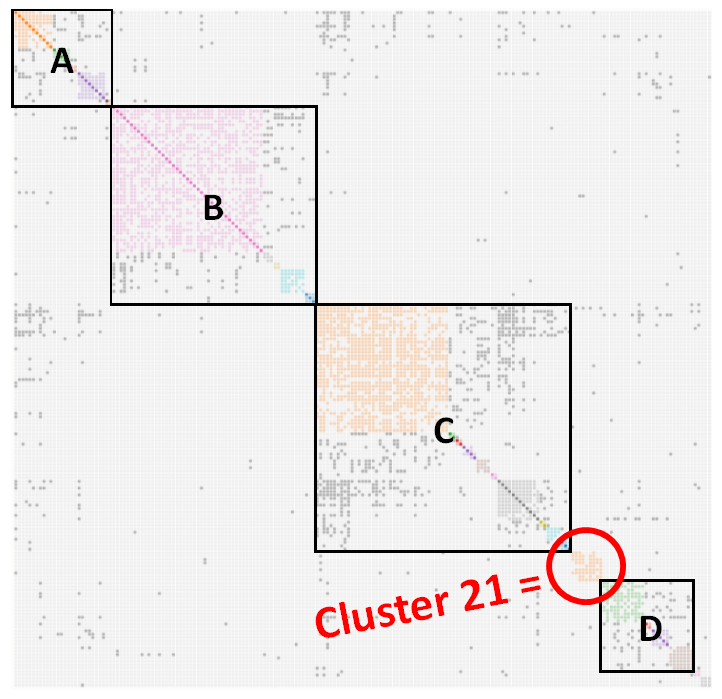 UFO conspiracy theorists have Area 51; I have Cluster 21. My study of Cluster 21 has led me to James Farquhar — an ancestor completely unknown to me and one I’m still not sure how we’re related. 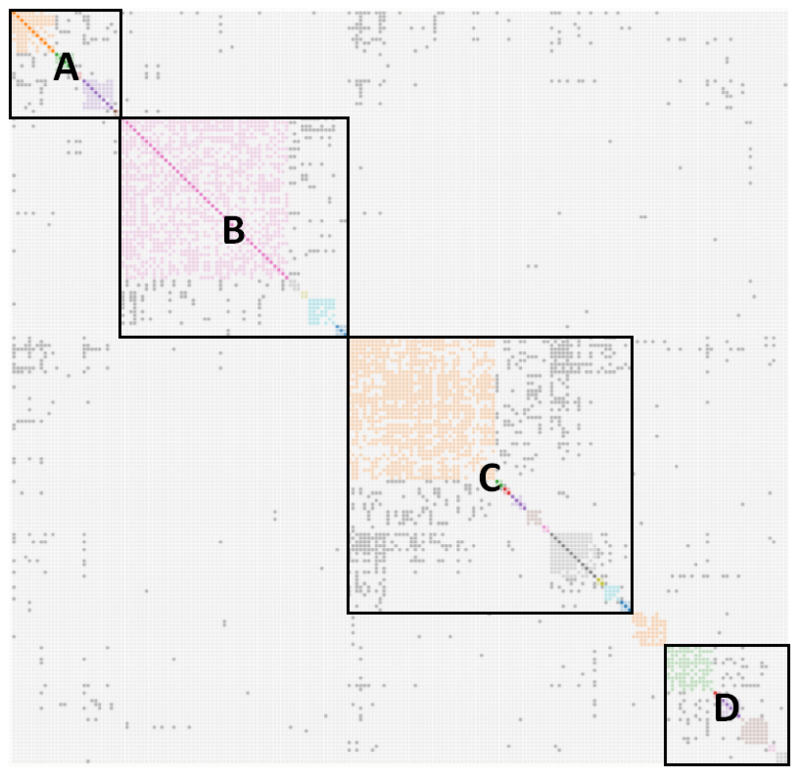 My earlier posts examined Super Cluster A, Super Cluster B, and Super Cluster C and identified a MRCA — Most Recent Common Ancestor — for each. Today we’ll look at the final grouping, Super Cluster D.
On April 7 or 8, 1780,¹ Mohawk Chief Joseph (Thayendanegea) Brant raided a scouting party in Harpersfield, New York, during the American Revolution. The group attacked by Brant’s Mohawk and Loyalist forces included three of my Hendry ancestors. This entry is part of the 52 Ancestors in 52 Weeks series. This week’s prompt is Brick Wall. To see other posts in this series, view my 52 Ancestors in 2019 index. Brick walls? Every genealogist has a few. They’re the difficult ancestors who seem to appear out of (or disappear into) thin air, leaving few records and stumping us for years. These family members are our greatest challenges, but — if we make a breakthrough — are our greatest victories. John McMurry, my 2x-great-grandfather, is one of my long-standing brick walls. Like my challenging Smart family, John lived in Winn Parish, Louisiana, in the 1880s. The courthouse and all its records were destroyed by an arsonist’s fire on November 26, 1886.¹ (The courthouse had previously burned in 1868, and was again destroyed by fire in 1917.²) Records that could answer my questions about John McMurry were likely lost in these fires. But courthouse disasters don’t mean the end of the road for genealogy research. It just means we must look for evidence from other sources.